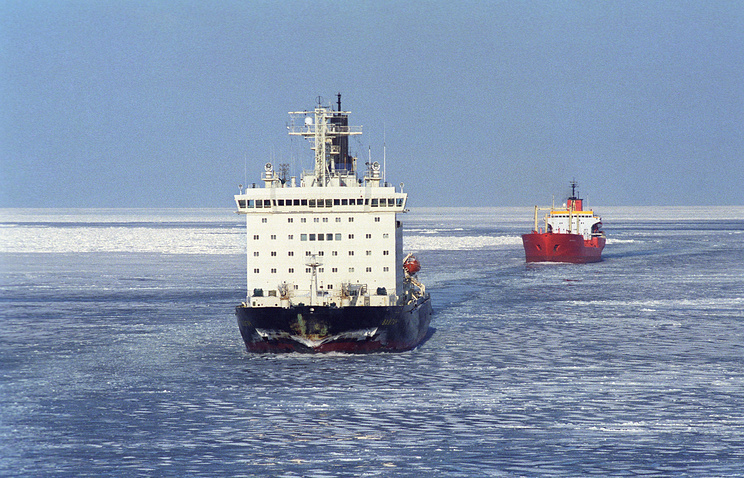 Russia is putting the Northern Sea Route under its protection. The government has hammered out rules for the passage of foreign warships through the route, Izvestia wrote referring to the documented legislation. US representatives have repeatedly stated that they are also interested in the Northern Sea Route and claimed that Russia "has no right to dictate its terms there." However, with the adoption of new rules, the situation will change. Warships and vessels will now have to notify Russia of their plans within 45 days and take on board Russian maritime pilots. Passage can be denied, and according to experts, in the event of unauthorized travel along the route, Russia will be able to employ emergency measures, going as far as arresting or destroying the vessel. The rules were developed due to the "intensification of the naval activities of various states in the Arctic zone", the newspaper wrote. They are aimed at maintaining control over the environment and merchant shipping. 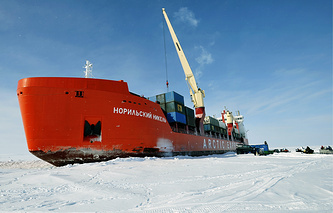 According to President of the Center on Global Interests in Washington, Nikolay Zlobin, the new rules for passing through the Northern Sea Route are a continuation of a consistent policy. "Russia has, for a long time, faced dissatisfaction from the United States, Canada, and a number of European countries, even China claims access to the North," the expert explained. Military expert Vladislav Shurygin told Izvestia that laying down the law for passing through the route was necessary "yesterday." "NATO and the United States may well try to create another hotbed of tension along our borders. Ships will stop by, spend some time and leave. It would be necessary to monitor them," he said. Washington is mulling over escalating tensions around the Northern Sea Route, for economic reasons, among others, according to member of the Federation Council Committee on Defense and Security Franz Klintsevich. He noted that the Northern Sea Route is shorter and more profitable than other routes for cargo delivery between Asia and Europe. Ukraine may lose transit of hydrocarbons, thereby making the gas transportation system useless, according to CEO of Naftogaz of Ukraine Andrey Kobolev. Kiev could suffer enormous financial damage after the launch of TurkStream and Nord Stream 2. According to Izvestia, the economic consequences of the Nord Stream 2 pipeline for Ukraine might be very painful. That said, new pipelines do not automatically mean abandoning old ones. Gazprom has repeatedly noted that transit through the territory of Ukraine will continue. However, Kiev is facing a serious dilemma, as there are no guarantees of a specific transit volume in the future. Experts interviewed by Izvestia believe that a complete refusal of transit through the territory of Ukraine will not happen, not only because of political promises. "It is necessary to supply Transnistria with gas. In addition, Gazprom has obligations to Slovakia. I think that after the new lines are launched, transit through Ukraine will be reduced to 20 bln cubic meters of gas," Deputy General Director of the National Energy Institute Alexander Frolov explained to Izvestia. According to the paper, in the next year or two, the Ukrainian gas transmission system might be loaded by around 55 bln cubic meters of gas per year. For Ukraine, this means a significant deterioration of the economic situation, but still, there might be light at the end of the tunnel. 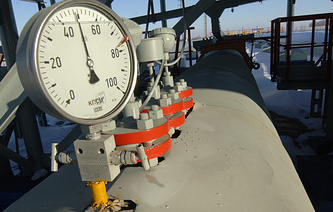 By roughly the end of the next decade, the demand for Russian gas may increase substantially. At the end of February, the US Congress published a bill dubbed "Defending American Security from Kremlin Aggression Act" (DASKAA). The document complemented the "Countering America's Adversaries Through Sanctions Act" (CAATSA) in force since 2017. According to the act, on April 6, 2018, the US imposed sanctions against a number of Russian individuals and legal entities. Gas is directly mentioned in the draft law only in relation to LNG projects that Russia carries out abroad. However, in the US, the term ‘crude oil’ includes not only oil, but also gas condensate. Thus, Russia might face problems, Vedomosti wrote, given that with rare exceptions, there are no exclusively gas fields in Russia. In the vast majority of cases, gas condensate is also extracted with gas. In the absence of a clear definition, only OFAC and the US State Department can provide clarifications, K&L Gates agency lawyer Jeffrey Orenstein told Vedomosti. However, it is possible that regulators will not provide an explanation at all, he added. Even after clarification from OFAC that gas condensate is not oil, the interpretation can be widened, managing partner at Debevoise & Plimpton in Russia Alan Kartashkin told the newspaper. Preparing regulations, OFAC often consults with representatives of American business, he noted. "More general formulations of the bill allow OFAC to adopt later regulations taking into account the reaction of the oil industry of the United States and its allies," he said adding that the ‘allies’ include primarily European countries. Washington partially uses sanctions as a mechanism for its own economic interests abroad, Urus Advisory partner Alexey Panin commented on the situation. Transnistria intends to submit a request to the mediators of the local conflict that Moldova should abandon joint military exercises with the US at a training ground located near the security zone on the Dniester, Co-chairman of the Joint Control Commission Oleg Belyakov told Nezavisimaya Gazeta. He noted that the Americans could get to the training ground where artillery exercises are planned, only after passing through the security zone. This violates the 1992 peace agreement and poses a security threat to the region. "We are disturbed by the exercises that the Moldovan military conducts at the training ground, as it is located next to the security zone. Last year, 14 military exercises were conducted at this range, including the ones jointly with the NATO military. Now the Americans are going there," Belyakov told the newspaper. He added that to get to the training ground, American tanks and armored vehicles will have to cross the security zone. He noted that this is not the only training ground in Moldova. "But the Moldavans are conducting the exercises there, although we have repeatedly talked to them about this, reminding about the security zone is nearby," he noted. 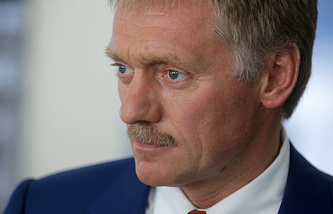 Belyakov said that Tiraspol would address the participants of the 5+2 peace process (Moldova, Transnistria as the parties; Russia, Ukraine, and the OSCE as the mediators; and the EU and the USA as observers) with a request to talk Moldova into moving the exercises to another site and not complicate the situation in the security zone. China will face more serious risks and challenges this year and needs to brace taking on a slowdown in economic growth, Nezavisimaya Gazeta wrote. China intends to stimulate growth through developing innovation and a reducing its tax burden. 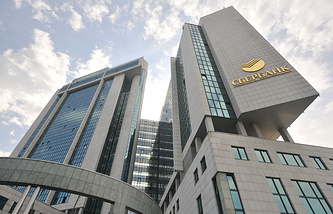 The country’s authorities also promise to encourage foreign investment into China, According to experts interviewed by the newspaper, the proposed measures are generally laudable, because a sharp slowdown of the Chinese economy would inevitably influence the demand for hydrocarbons, which would undoubtedly affect the Russian budget. The statements by China’s Prime Minister Li Keqiang about the economic situation came against the background of the unresolved trade conflict between China and the United States, and Beijing recognizes the difficulties in resolving this dispute. China’s economic problems have been growing for a long time. "The current exacerbations in trade relations with the United States also accentuate this problem too," associate professor at RANEPA Sergey Khestanov told the newspaper. For Russia, Beijing’s problems primarily mean a decline in the demand for raw materials. "Oscillations in demand for raw materials in China immediately cause quite strong price fluctuations. We sell a lot of raw materials to China. And given the importance of the Chinese market, if there is a really serious slowdown in the economy, then most likely prices will fall all over the world, not only in China," Khestanov added. "We are dependent on economic growth in Asia because it shapes the demand for our oil," managing partner of the Veta expert group Ilya Zharsky told the newspaper.